Johnny Thunders: Gibson Melody Maker Miniature Guitar. 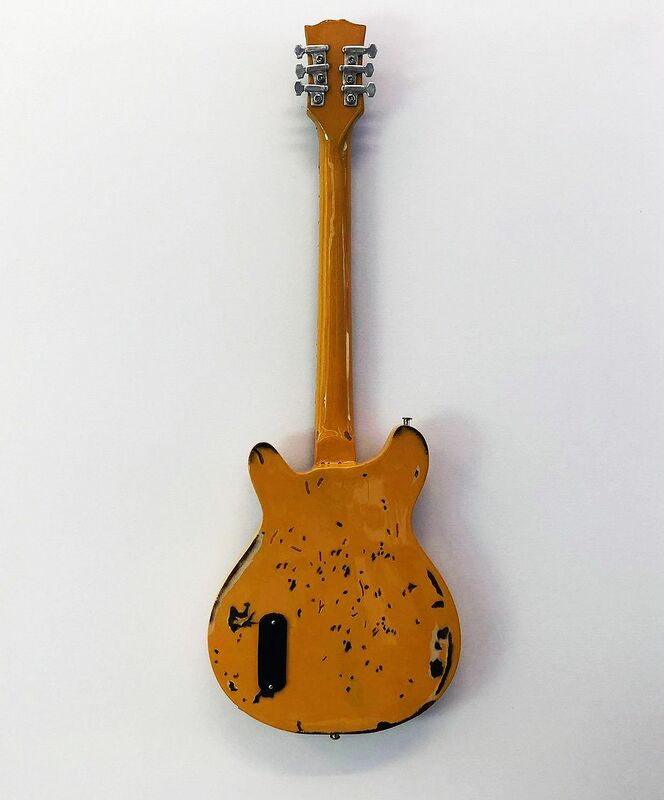 This is a detailed miniature replica of Johnny Thunders' 1950s Gibson Melody Maker. 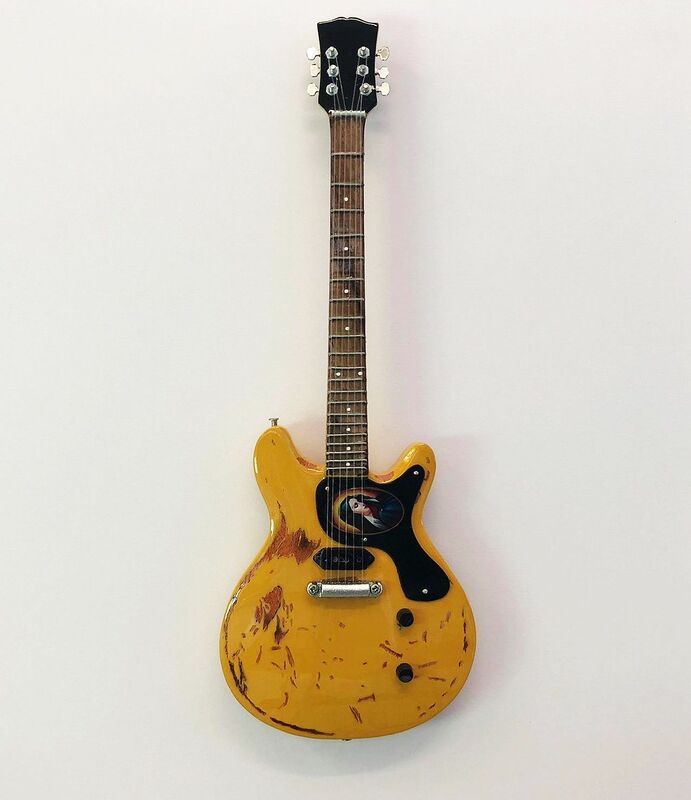 As frontman for the legendary New York Dolls, Thunders wielded this battered TV Yellow Gibson Melody Maker to great effect. 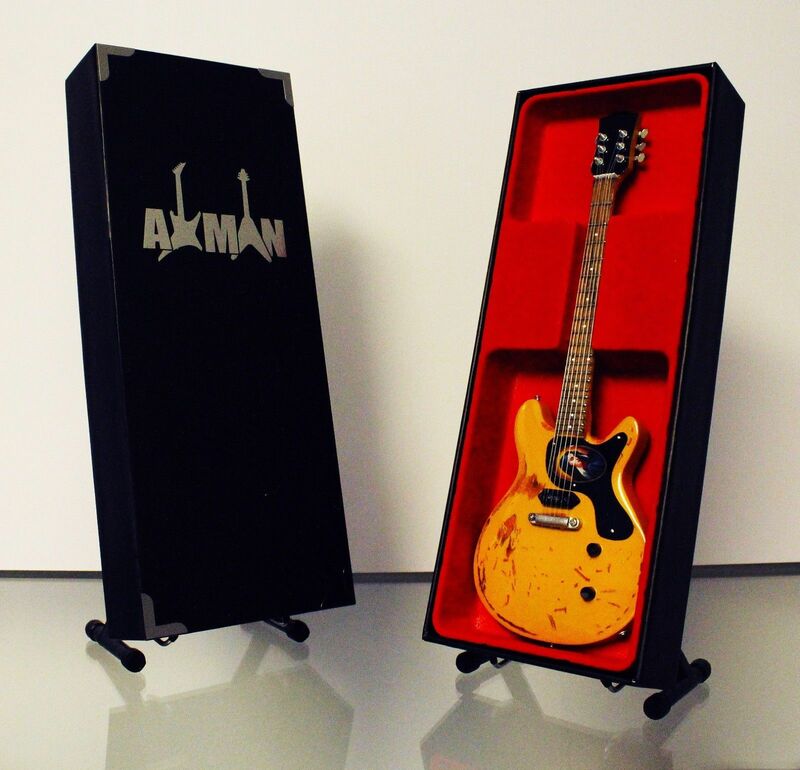 With it's no nonsense basic construction and single P90 pickup, this model was beloved of many Punk guitar players.